On Friday I posted an honest Easter reflection, in part about losing my Christian faith. I have already been judged by some people I know, a couple to the point of saying they admire the work I do, but have now lost respect for me because I don’t believe in ‘their God’, and I quote, they said ‘I definitely will not bother to read your blog again’. I have not bothered to approve their comments on my blog either. When discussing this with one girlfriend, she said, ‘their loss, your gain’, to which I replied, ‘losing friends simply because of differing viewpoints is not necessarily my gain’. As long as it is respectful, and kind, I really like hanging out with people who have different opinions and beliefs as it makes life very interesting. Part of being earnest, I suspect, is not to become too fond of your own reputation. Also, having a healthy respect for others, and acceptance of all opinions, religions, race, is important. How can you be earnest, that is, ‘show deep sincerity’, if you are judgemental of others? I was very judgemental when I was younger, something I feel slightly ashamed of, but I suspect it partly stemmed from growing up in a small community and not being exposed to ‘other’ enough. When I go back to that community, many of the conversations are about judging others, and these days, I find it stifling and upsetting. I have friends who are gay, blind, Buddhists, Christians, Aboriginal, Vietnamese, Australian, English… you get the drift! I agree with gay marriage, I really find it really offensive now when I hear people speaking unkindly, and with judgement of others. May I’m wrong to link the importance of being earnest to humility, and respect for all others, but it feels right, and I work on being sincere, and humble, and not judging others, but realise I probably still have a long way to go to achieve those goals. That is life, and I think we are all perfect, every day, in our own way. Even lousy parents did the best to their ability, at the time they were parents. We all have limitations, and baggage, and things we could do better. To aspire to be better, to learn more, and to accept others is about the best anyone can do… being earnest sounds about right to me! I agree Kate-it is always good hanging out with people who have different opinions as this makes life interesting but sometimes opinions do go too far to the point people start fighting. There were no other qualifiers to that sentence, such as “love only tall people” or “love only rich people”… Just love each other. Oh dear Kate, I am lost for appropriate words. Please accept an electronic hug. Hang in – there are far more people like me who admire and love you regardless of your convictions, than there are those who critisise. Your willingness to expose your feelings and beliefs for all to read are brave and admirable traits. I wish I had half your courage. Hang in and be aware of the love flowing your way. What you do or do not believe in is irrelevant – that you are loving, honest, caring and non judgemental of others is what counts. Kate – I’m so sorry that these supposed “friends” have treated you this way – obviously they weren’t true friends if this is the reason that they said those things and have cut off the friendship. More crimes and killing have been done in the name of religion than not – that speaks a lot in itself. I think you said something wrong ……. (sorry but I honestly believe you are wrong) …….. Taking the extremes, do you really think that Stalin, Hitler, Mussolini etc were all perfect? And what about the people who physically abuse their children? They AREN’T doing their best. They are very controlling, dominant, disrespectful etc etc. And don’t think that these situations are rare, because they’re not. I don’t know % for the different crimes etc, but even 5% is a lot ……. because 5% isn’t much out of 100% but 5% of 1,000,000 is 50,000 people who suffer horrendously. Even 1 person is too much. I think maybe you are seeing the world through rose-tinted glasses and being too optimistic. Beautifully-written Kate. Rejection by people because you don’t share an experience or don’t agree with their views tells us far more about the people doing the rejecting. I have a problem with “certainty” – some people are so certain that their way is the right and only way and I often find myself distrusting that certainty. I don’t know what I believe a lot of the time and that can be a comfort because it helps me to consider all views. I hope that doesn’t sound too pious. Keep writing. I look forward to reading your words every morning. Thanks so much for sharing your views here Duncan.. they ahve really helped me, especially saying you don’t know what you believe a lot of the time… I think that is mee too, not atheist, not quite agnostic, not really knowing fur sure. For as while, I found it very distressing, as had really been a Christian all my life, and then not knowing was uncomfortable and strange… thankfully I’m ok with it now, but sharing how I felt, and then havig this continuing dialogue is really helpful to me too… thanks a bunch! Its my own view that people coming out with these remarks, simply don’t know what we are going through when we have this illness. We are certainly no different to anyone else, apart from the fact that we are writing our feelings down for all to read. I have seen many Bishops stand up in the pulpit and shred the bible stories we all learnt as children, so do these people really care about the bible when they do this, and are they really religious. In many ways, when you get this illness you learn who your true friends are, because a true friend will at least try to understand your problems without casting remarks. I find it difficult to write these days, and make many mistakes either in spelling, which I never see, because of my eyesight these days, or because I simply use the wrong words in an attempt to explain myself. Thanks Ken… I will certainly carry on doing what I do, for as long as I can. Just like you, I find the writing and expressing incredibly therapeutic, and some people say our blogging helps them too, which is a bonus. My husband finds it very helpful, although painful too… take care my friend. Perhaps those erstwhile “Christian” friends who have spurned you are not earnest enough about their faith and all it teaches about love & compassion. I think often criticising & condemning others is the refuge of people who refuse to think and therefore possibly change. I’m sorry to see that people calling themselves Christians have been so intolerant. It gives the rest of us a bad name! Life is short. There are so many more worthwhile things on which to expend our energy aside from worrying about the opinions of others. I heartily agree with you, Kate! Thank you for writing this! My wish is that people learn from you! Thank you Melba… we can all learn from each other, if we are willing to open our ears, heart and mind! Dearest Kate – it saddens me to think that other ‘so called Christians’ have judged you because you don’t ‘believe in their God!’ Seems to me they have selectively forgotten what the Bible says: Matthew 7 – 1. ” Judge not, that ye be not judged.’ The world would be very boring if we all ‘danced to the same tune.’ It seems to me that the basic tenet of all religions is to treat others as you would like to be treated and one does not need any sort of religious label be it Christian or otherwise to live a life that respects the self and others. 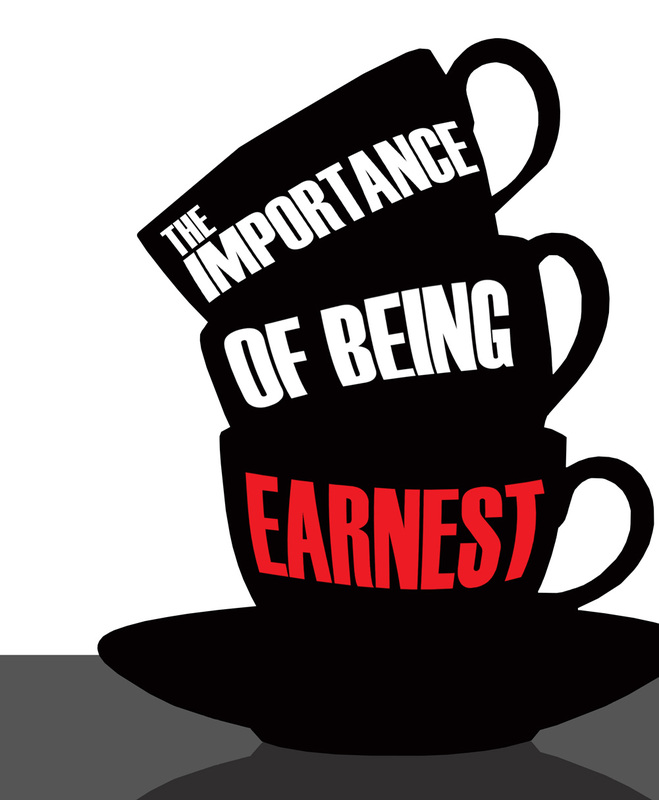 And yes, being ‘Earnest’ sounds right to me too. That is true and the hardest thing for ALL humanity, myself included, in spite of any creed they may or may not adhere to is to: ‘Love one another,’ without judgement or fear.